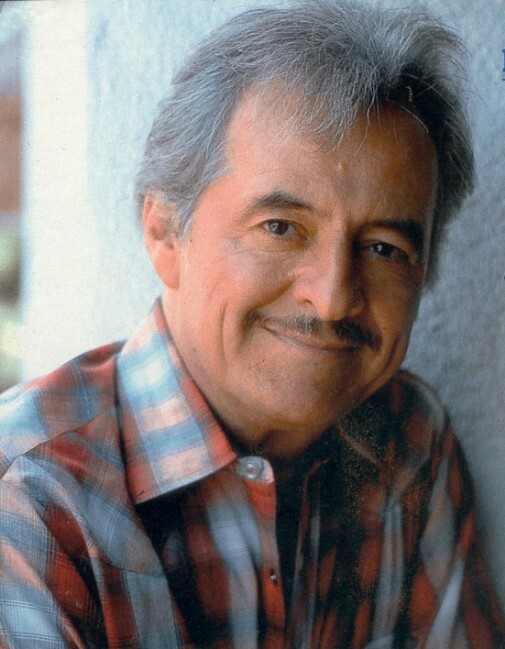 Best remembered as the fun-loving Manolito on the classic Western TV series The High Chaparral, Henry Darrow has appeared in over 100 films and television series. He co-starred with David Janssen in the detective series Harry O, played Zorro's father in the 1990-93 Zorro TV series, and appeared as A Martinez's father in the daytime drama Santa Barbara (which earned him an Emmy). His other credits include guest star appearances in dozens of classic TV shows, such as Mission: Impossible, The Outer Limits, and Dallas. He has also worked with Ricardo Montalban and others to increase acting opportunities for young Latino actors and actresses. 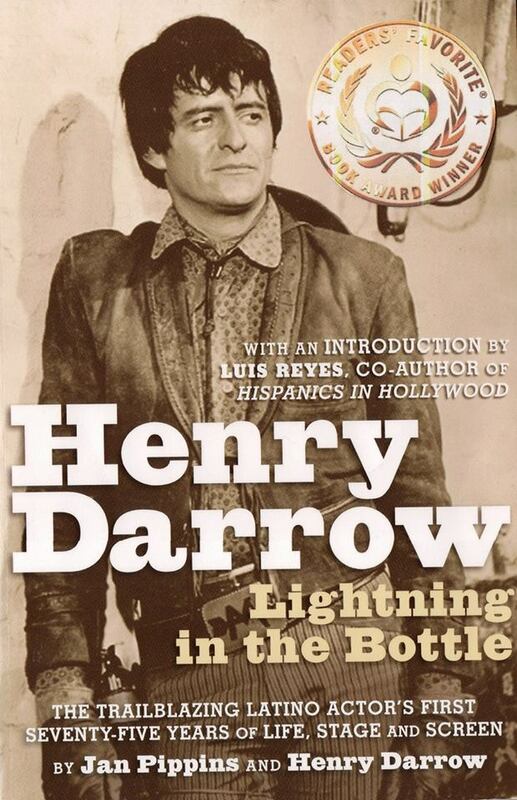 In 2012, he wrote his autobiography (with Jan Pippins) Henry Darrow: Lightning in a Bottle. I interviewed Mr. Darrow recently at the Western Film Fair and Nostalgia Convention in Winston-Salem, NC. Café: How did you come to be cast on The High Chaparral? 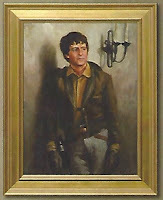 Henry Darrow: It was a big interview with David Dortort, who was executive producer of Bonanza back in the 1960s. He saw me in a play, The Wonderful Ice Cream Suit, written by Ray Bradbury. I played sort of a Romeo-esque kind of character, who had a love scene in a balcony with a girl. She kept saying: "Oh my gosh, your smile is so big." And then, it turns out that she had vision problems and she was actually referring to my many teeth. The audience included people from the network, the head casting director William Mayberry, and the producer, Buck Houghton. I talked with them about the part of Manolito and described how I saw him. I said I'd like to speak in Spanish and that I would learn Indian sign language. I said: "I'm ready to read for the part." And David Dortort replied: "You don't have to. You've got it. You talked us into it." By the way, in the lobby, waiting to go in was Linda Cristal (who played Victoria Cannon on The High Chaparral). They wanted to compare us side by side to see if we could play brother and sister. Café: There's a great sense of family on The High Chaparral. The relationships between the Cannon and Montoya families seem very real. Was the cast as close off screen? HD: We got along wonderfully. It was a good cast, particularly Leif Erickson as the head of the ranch. He helped me invest some money in a concern he was involved in and I made money from that. The guy that was most fun-loving was Cameron Mitchell as Uncle Buck. He was wonderful to be around. Sometimes, he didn't learn all his dialogue in a scene so he ad-libbed. That made him fun to work with because you had to listen and stay alert. Linda Cristal was just a pleasure to work with, as were Mark Slade, Don Collier, who played Sam--who was in charge of the bunkhouse--and his brother Joe, played by Robert Hoy. 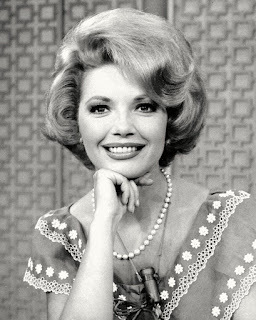 I also have great memories of all the different guests that appeared on the show: Gilbert Roland, Ricardo Montalban, Fernando Lamas, Bob Lansing, Jack Lord...one after the other. It was a real college degree learning process for me, working with actors and actresses that had been established for years. Café: Do you have a favorite episode? HD: "A Time to Laugh, a Time to Cry" with Donna Baccala*. We shot that episode in the 1960s and then, about 30 years later, I was doing a series in Spain about Zorro and she appeared as a guest star. We were able to use scenes from the old High Chaparral episode. It worked out beautifully. Café: I've heard that after The High Chaparral was cancelled, you performed a live act in Sweden. Can you tell us about that? HD: That was wonderful. I had talked with Michael Landon, who had gone over to Sweden with a stunt man and played a little bit of guitar and sang a few songs. I prepared a 30-minute show, singing songs and doing comedy stuff like shooting balloons with a gun and...drum roll...there'd be a pop! It was all comedic. One night, we had 15,000 people in the audience, an incredible turnout. Café: You and David Janssen had a nice chemistry on the quirky detective TV series Harry O. Why did your character not appear in the second season? HD: I loved that show. They moved the show from San Diego to Malibu. My character was a detective in the San Diego police department, so he stayed in San Diego, and Harry moved up to Malibu and lived on a beach. Anthony Zerbe replaced me and that worked out well for him. He won an Emmy. Café: How did you get along with David Janssen? HD: Wonderfully. He had a marvelous, dry sense of humor. We pulled jokes on each other here and there. When I was being replaced, he waited for me when he finished shooting earlier in the afternoon. We had a few goodbye drinks at the hotel bar. I never saw him again, though. Café: What was it like being a Latino actor in Hollywood in the 1960s and 1970s? HD: The High Chaparral was the first time in a series that a Latino family was on an equal level with an Anglo family, with the Cannons who owned Chaparral, and the Montoya household, which was in Mexico. That worked out well--and that was because of David Dortort, the producer of Bonzana, who added the Latino flavor to Chaparral. He brought in guest stars like Fernando Lamas, Ricardo Montalban, Alejandro Rey, and Alex Montoya. He included as many Hispanic actors as he could. Café: Were there challenges, though, to being a Latino actor at that time? HD: There were Westerns being made at the time. I had a lot of Mexican actor friends and they said I should pass myself off as a Mexican. I said: "Why?" They said: "Because there aren't too many New York Puerto Ricans doing Westerns!" I said OK. But then I did the Ray Bradbury play and got hired for The High Chaparral. It worked out beautifully for me. Café: You've done a lot to help other Latino actors in film and television. Can you describe your work with the Screen Actors Guild and other organizations? HD: There was an organization called Nosotros, which means "us" in Spanish. 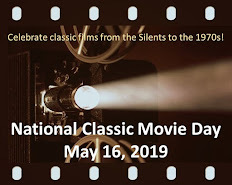 It was started in 1970 with Ricardo Montalban as president. I was the first vice president. We helped young Latino actors and actresses. At that time, there were only a few Latino casting people and agents. There was a guy called Carlos Alvarado. I lucked out when he hired me. His nephew was coming down the steps from his office and said: "You going to see my uncle? Because I have to go into the army. I think he'll hire you." Carlos did hire me, right then and there. There weren't too many problems that I can recall. There just weren't too many avenues for Latino actors at the time. A number of series happened over the next few years and it eventually worked out fine. 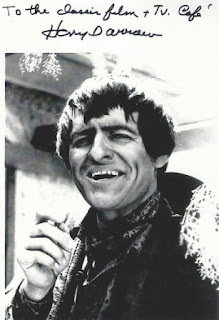 As Rafael on Santa Barbara. Café: You won an Emmy for playing Rafael Castillo, A Martinez's father in Santa Barbara. How did working on a daytime drama compare to prime time television? HD: It was much, much harder because you had to do an hour script every day and usually you'd have three scenes handed to you the night before. That left little time to rehearse with your fellow actors. I had worked with A Martinez before and he gave me a lot of his time and the producer was a fan of mine. It worked out well and I had a good time doing it. It was hard work, though. Café: You've written an autobiography, Henry Darrow: Lightning in a Bottle, with Jan Pippins. Do you have any upcoming projects you want to share with the Cafe's readers? HD: I've got a meeting with a young filmmaker next week. So, we will see where that goes. Café: Thanks for taking the time to talk with us. You can learn more about Henry Darrow at his website: www.henrydarrowbook.com. You can follow him on Twitter @HenryDarrow1, Facebook, and Pinterest. * In the season 3 episode "A Time to Laugh, a Time to Cry," Manolito's childhood sweetheart Mercedes Vega De Granada (Donna Baccala) steals his heart. He proposes marriage and she accepts--but their wedding plans go astray when she is kidnapped by Comancheros. I enjoyed learning about Henry Darrow and looked up his screen credits. He truly kept busy on TV! It was especially interesting hearing about his work to help other Latino stars in show business. Well done, Mr. Darrow, and thanks for stopping by the Cafe for this interview! I greatly enjoyed this interview with Mr. Darrow, and look forward to checking out his autobiography. Thanks! 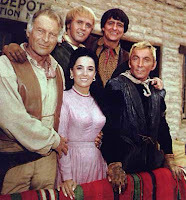 "The High Chaparral" was the best western of the decade. The stories were great and the characters brought it to life. My favorites on the show were Henry Darrow and Cameron Mitchell. They were quite a pair. Now I know why! tbonemankini, YES, you recall correctly. Manny was shot and killed by Sal Mineo in the late first season episode "Elegy for a Cop." Manny is only in the first ten minutes or so and has no scenes with Harry O, who spends the show avenging his death (and which depended upon extensive scenes from the first 1973 pilot). Zerbe was already aboard playing Trench. On IMDb trivia for that episode, somebody claims Darrow said this was his favorite episode, but no source cited. I just can't imagine it being his favorite. PS: I like Darrow a lot, especially his appearances as Esteban on BEARCATS.